HP unleashed a wave of laptop upgrades, new business laptops, and even prepaid 3G data on Monday in an effort to woo both consumers and mobile professionals. The three refreshed HP laptops--the HP Pavilion dv4, HP Mini 210, and HP Envy 14--gain updated processors and upgrades like improved touchpads. The business-oriented laptops--ProBook 5330m and EliteBook 2560p and 2760p--will come with consumer-friendly features like Beats Audio for better sound quality and backlit keyboards. The new designs show HP veering towards making even their business laptops more appealing to consumers as well, upping the "coolness" factor at a time when Apple products are surging in popularity. 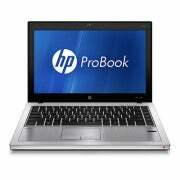 The HP ProBook 5330m, for example, is less than an inch thin and sports a brushed aluminum chassis, backlit keyboard, and Beats Audio. The "Beats by Dr. Dre" audio system is more typically built into HP's entertainment-oriented laptops like the Envy 14; this is the first time that Beats Audio is included in an HP business laptop. Speaking of the HP Envy 14, the upgraded model now uses a new HP imagepad that promises better gesture support and other touchpad controls. Another new feature on the Envy 14 is HP's CoolSense technology, which automatically adjusts its cooling based on whether it senses you're using the laptop on a table or on your lap. The Envy 14 has also been updated, as expected, to the latest second-generation Intel Core processors and USB 3.0. You can pick it up on June 15 for a $999 starting price. The HP Pavilion dv4 also gets the CoolSense treatment and processor upgrade. The sleek 14-inch laptop comes in two colors, weighs under 5 pounds, and starts at $599, available on May 18. HP's refresh of the Mini 210 netbook adds Beats Audio, a redesigned case (available in five colors), a seamless touchpad, and easier access to the netbook parts for upgrading. Less than an inch thin now, the HP Mini 210 will start at $300 and be available on June 15. The previously mentioned ProBook 5330m has a 13.3-inch screen, weighs under 3.9 pounds, and is available now at $799. Two new models in the EliteBook line also emphasize the small-and-light trend. The 2560p, which replaces the high-performance HP EliteBook 2540p, weighs 3.7 pounds, has a 12.5-inch display, and even packs an optical drive in its aluminum and magnesium body. Available on May 23, the 2560p will start at $1,100. 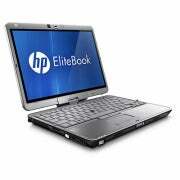 The EliteBook 2760p is a convertible multi-touch Windows 7 tablet with a 12.1-inch display (1366 by 768 or 1440 by 900 pixel resolution). The tablet is configurable with Blu-ray, up to 16GB of memory, HDD or SSD, and either Core i5 or i7 Intel Sandy Bridge processors. The EliteBook 2760p is available now starting at $1,500. Finally, as if that all wasn't enough news, HP also announced a new pay-as-you-go 3G mobile broadband service for its laptops. The DataPass service can be purchased in blocks, starting at $5 for 75MB of data. This should be a boon for business travelers and consumers who only occasionally need mobile Internet access. My colleague Agam Shah of the IDG News Service has more information on HP's new data service.